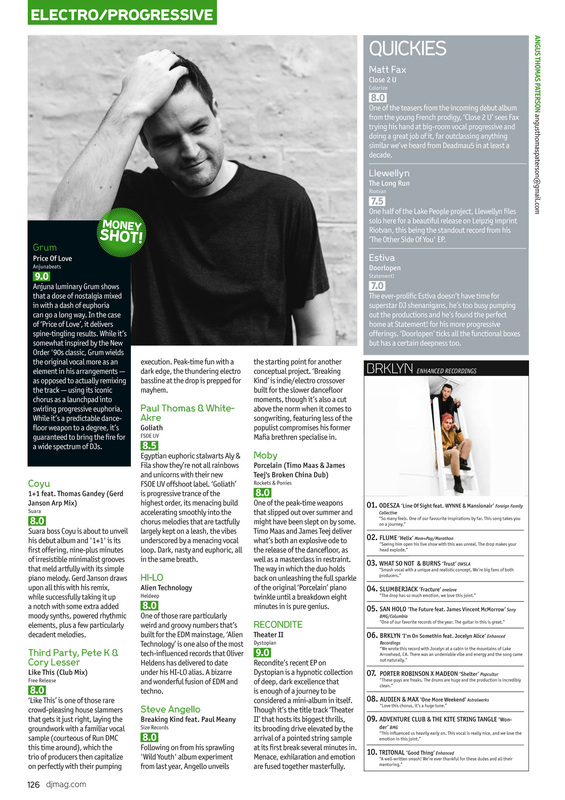 Reviews page and monthly column for the September 2017 #574 issue of UK publication DJ Mag. Features a 'Top 10' DJ chart from DJ/producer duo BRKLYN from the Enhanced label. Artists reviewed include Grum, Coyu, Steve Angello, RECONDITE and more. Includes music from the Anjunabeats, Suara, Size, Dystopian and Colorize record labels.